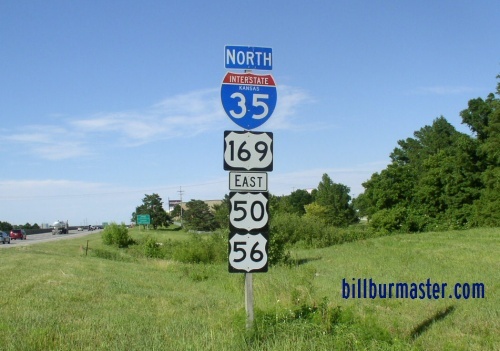 Interstate 35 is a north-south that runs across portions of Central and Eastern Kansas. 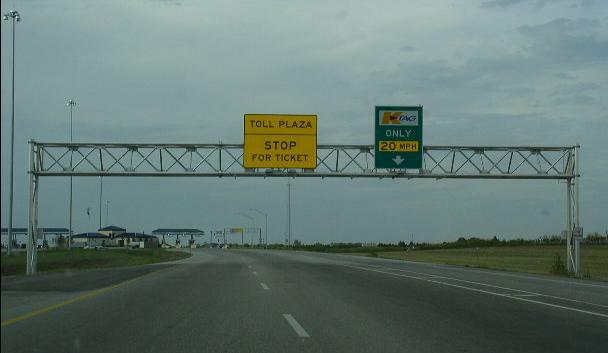 Most of this highway runs along the Kansas Turnpike. 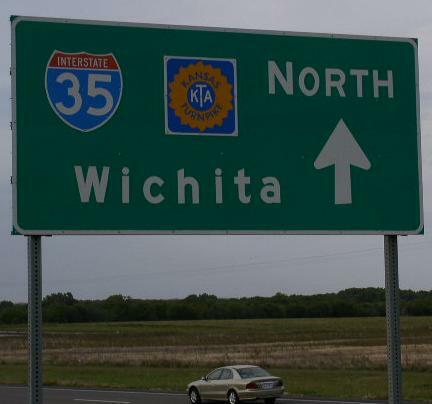 It goes from the Kansas/Oklahoma State Line, near South Haven, to the Kansas/Missouri State Line, at Kansas City. 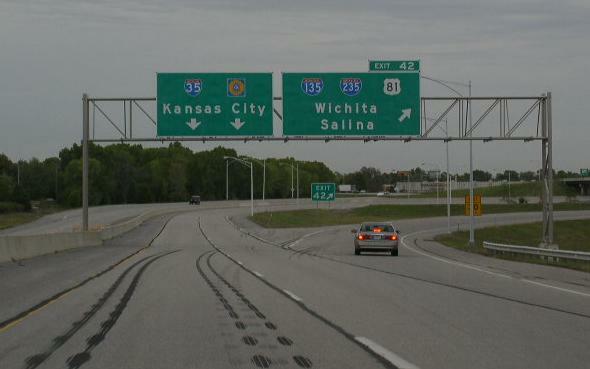 In Kansas, I-35 is multi-plexed. ...U.S. Rt. 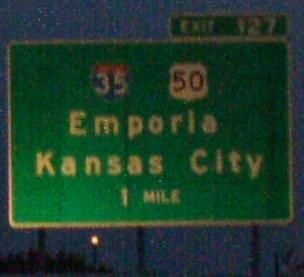 50, from Emporia to Lenexa. ...U.S. Rt. 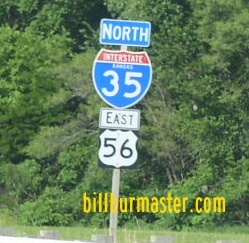 56, from Gardner to Merriam. ...U.S. Rt. 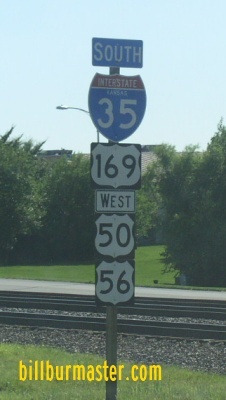 169, from Olathe to Merriam. ...U.S. Rt. 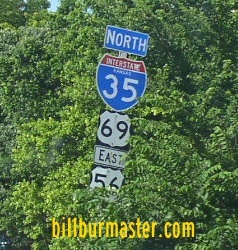 69, from Lenexa to Merriam. ...U.S. Rt. 69, from Overland Park to Kansas City. 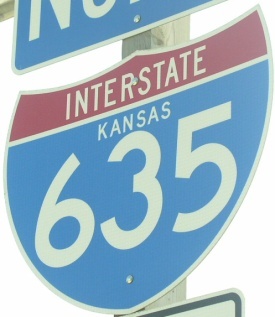 Interstate 35 crosses the following intersates in Kansas. 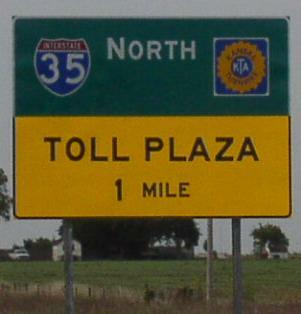 Interstate 335, (Kansas Turnpike), at Emporia. 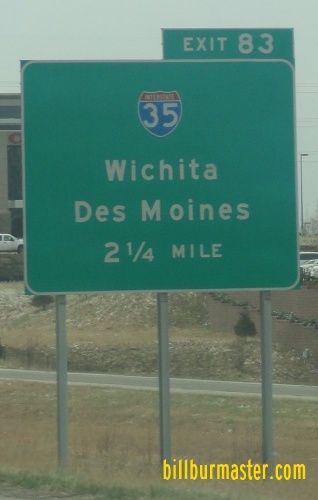 NB I-35/U.S. Rt. 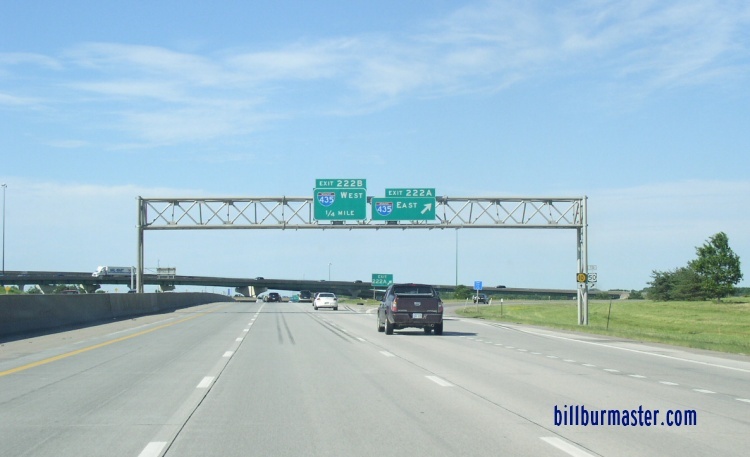 169; EB U.S. Rt. 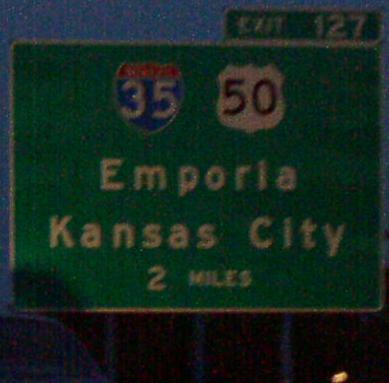 50/56 one mile from I-435. 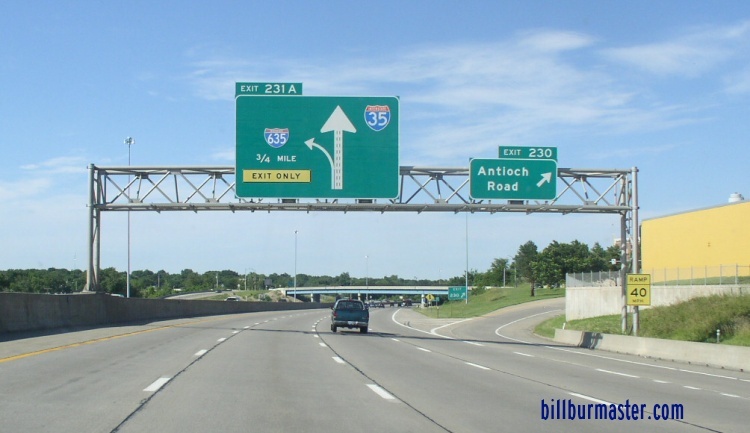 NB I-435/U.S. Rt. 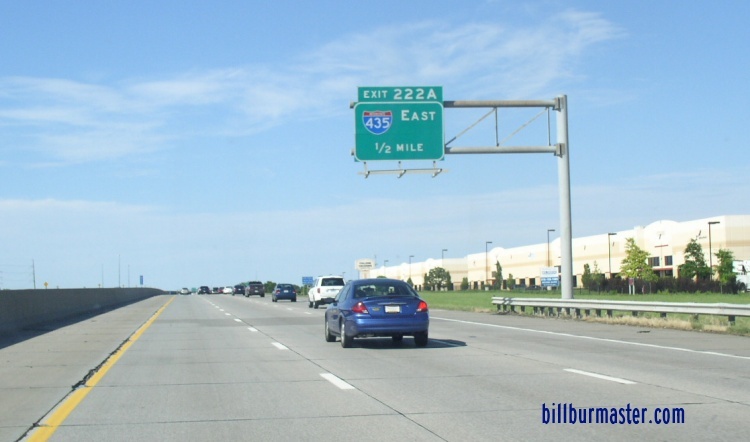 169; EB U.S. Rt. 50/56 a half mile from EB I-435. 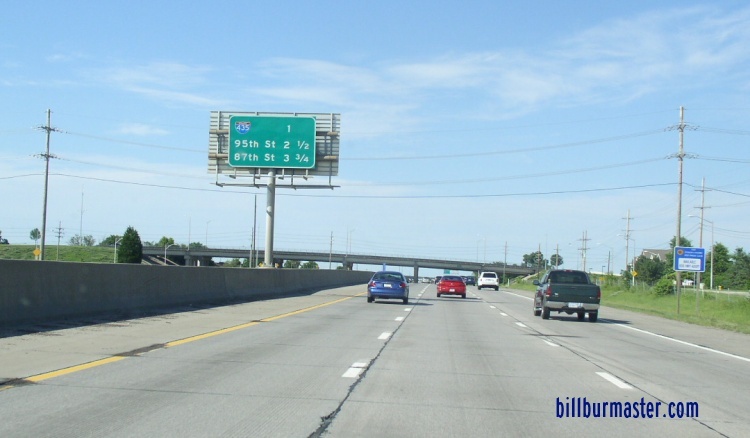 NB I-435/U.S. Rt. 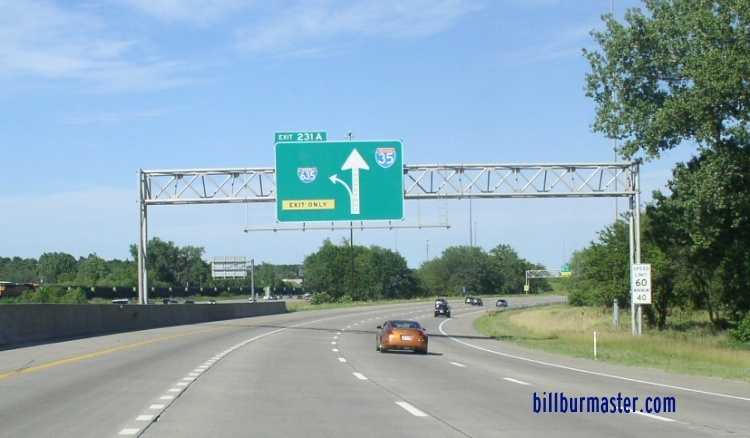 169; EB U.S. Rt. 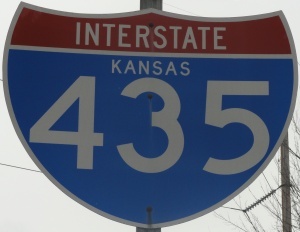 50/56 at I-435. 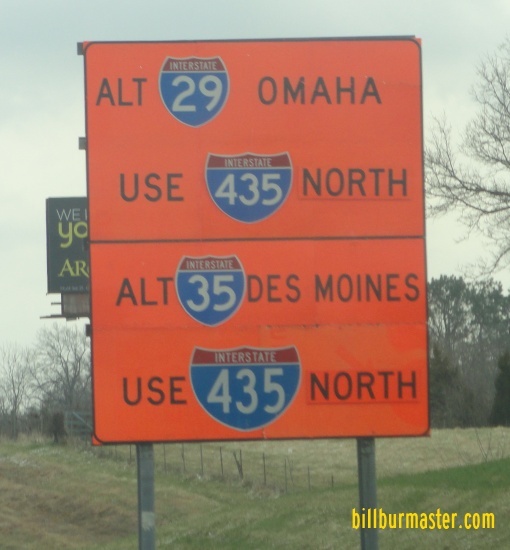 NB I-435/U.S. Rt. 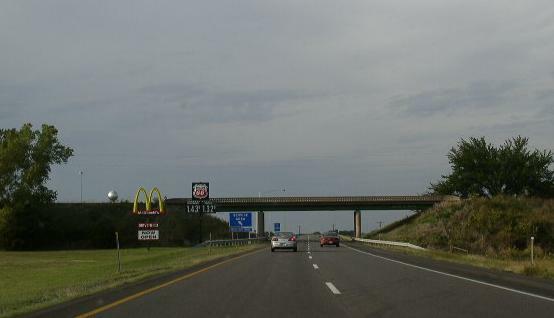 169; EB U.S. Rt. 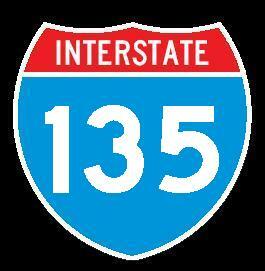 56 at WB I-435. 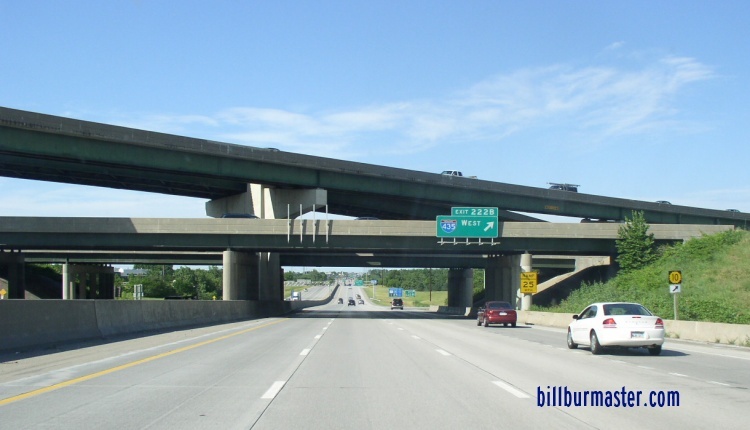 Interstate 635, at Overland Park. 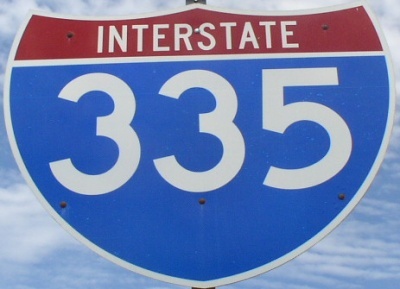 NB I-35 less than a mile from I-635. 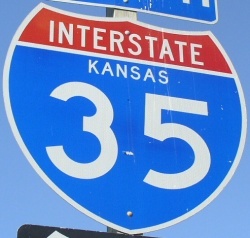 Branches of I-35 in Kansas. 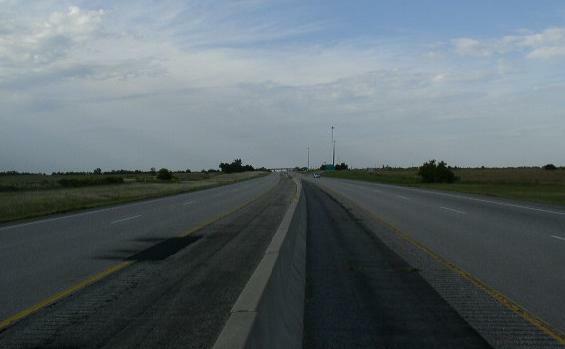 Looking north along the I-35 near the Oklahoma/Kansas State Line. SB on left. NB on Right. 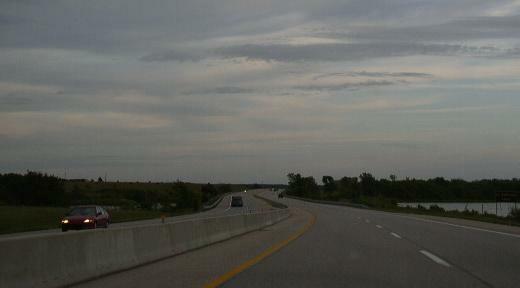 NB I-35 south of the Southern Terminal. 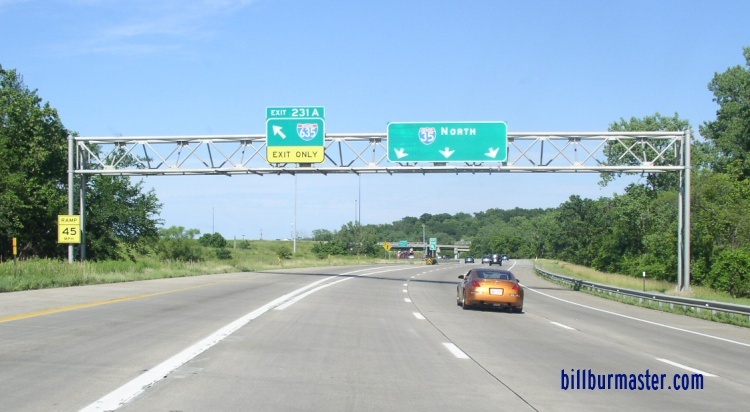 NB I-35 at the Belle Plaine Service Area. 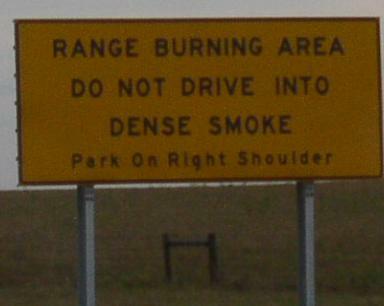 A common sign found along the I-35. 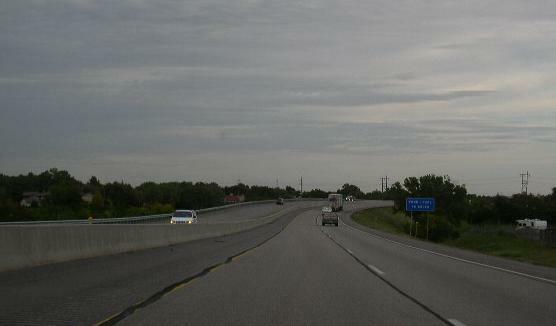 NB I-35 near the Butler/Chase County Line. 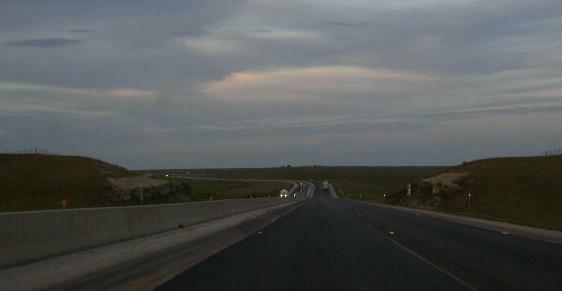 NB I-35 in Chase County. 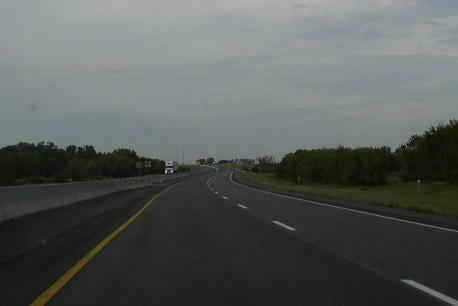 NB I-35 near the Chase/Lyons County Line. 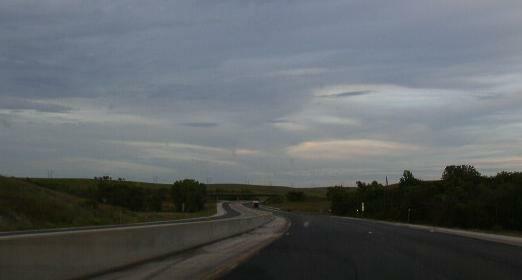 NB I-35 in Lyons County. 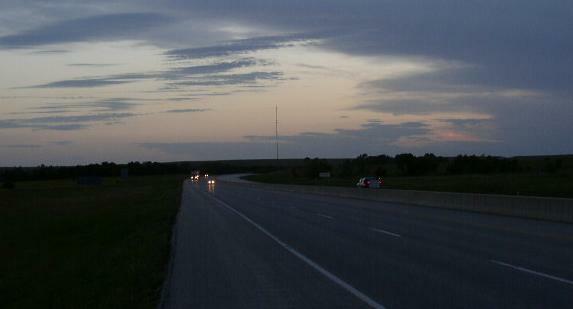 Looking south along NB I-35, south of Emporia. 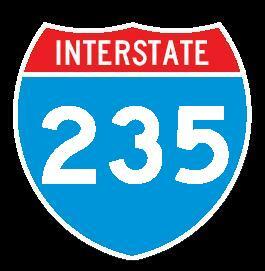 Another BGS on NB I-35. 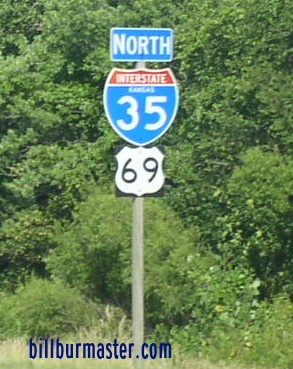 A guide marker on the ramp to NB I-35 from NB I-335. 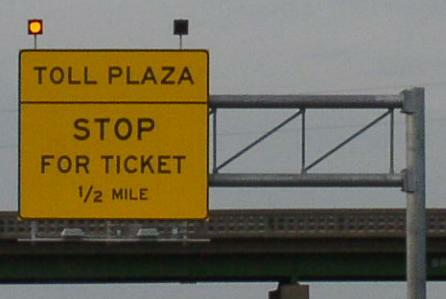 A BOS on EB I-70; U.S. Rt. 24/40; KT. 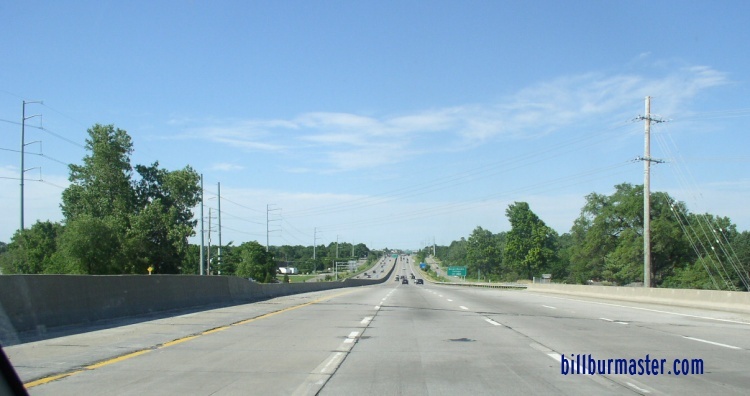 A BGS on SB I-435. 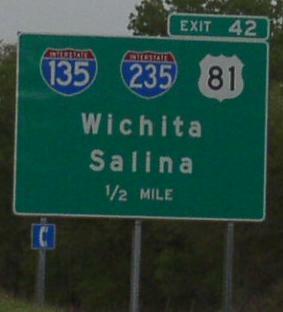 NB I-35/U.S. Rt. 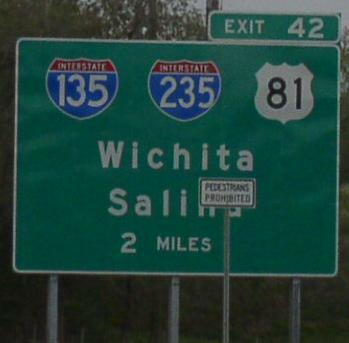 169; WB U.S. Rt. 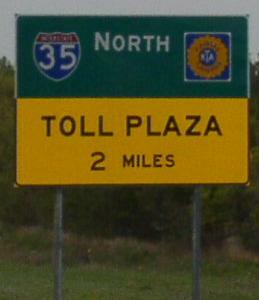 56 north of I-435/U.S. Rt. 50/KS St Rt 10. 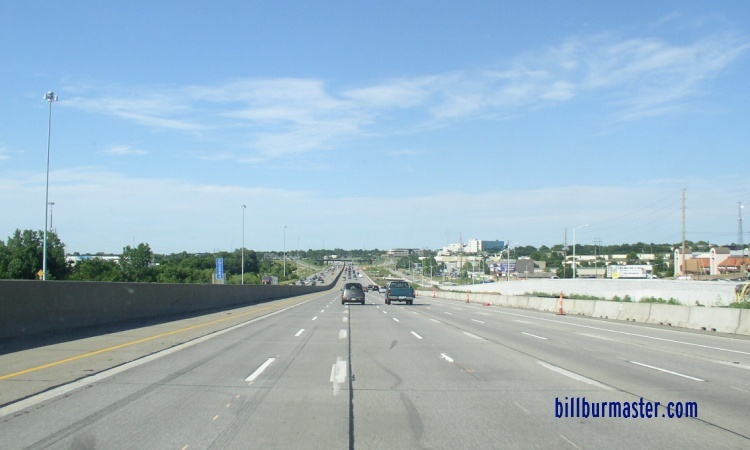 NB I-35/U.S. Rt. 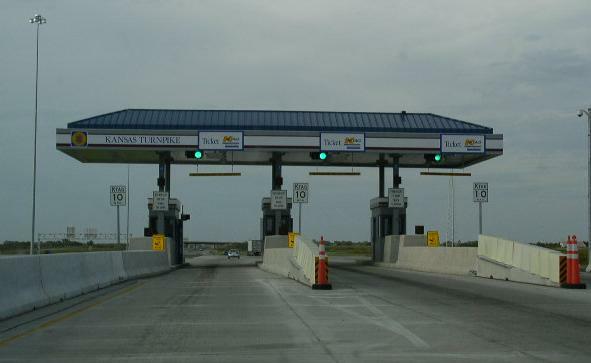 69-169; EB U.S. Rt. 56 in Merriam. 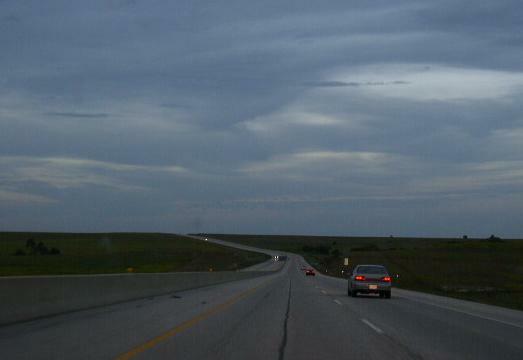 NB I-35 near Mission Road.